Integrated circuit is Rockwell A4004PC (here date stamped 1974 week 52). 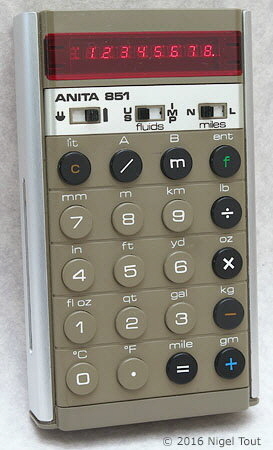 As with all of the similar looking ANITA hand-held calculators there are three circuit boards which slide into slots in the plastic casing. 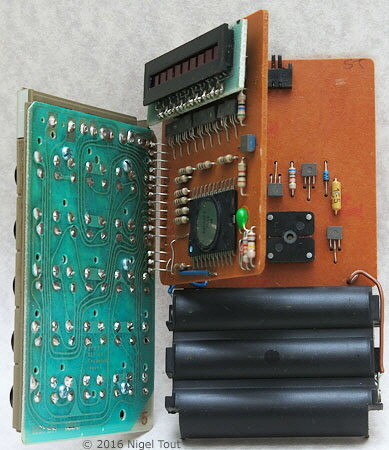 Clock and power supply board. Main calculator and display board. 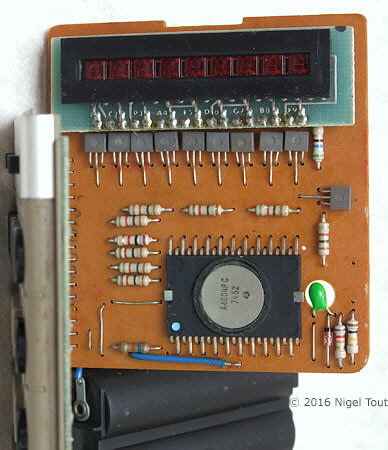 Close up of the main circuit board showing the Rockwell A4004PC integrated circuit (here date stamped 1974 week 52). The line of grey devices are individual transistors used to drive the LED display above them.